Christine Goodner is a dynamic and experienced Suzuki teacher with over 18 years of experience in music education. 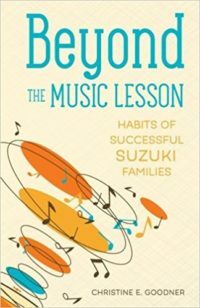 Her unique blend of expertise in music, child development, and leadership gives her a holistic approach to working with teachers, students, and their parents. Christine holds a degree in Early Childhood Education, and has extensive teacher training through the Suzuki Association of the Americas (SAA). She teaches violin, viola, and Suzuki ECE in Hillsboro, Oregon, and is currently serving as President of the Oregon Suzuki Association.